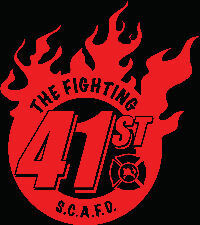 This page will list all the future apparatus purchases for the SCAFD. Thank you Clayton Township and Swartz Creek, including the citizens of our Fire District, for your continued support. This is a 2015 Pierce Saber on a PUC configuration. The unit arrived at station 1 on Thursday, April 16, 2015. It has a 1,500 GPM pump, 730 gallon tank with 30 gallon foam tank. A hydraulic generator will power the 120V receptacles and rehab facilities. This is the first unit to have vehicle operated air conditioning, to assist with the rehab goals established for the vehicle. The unit was design to incorporate Squad 16 rehab and SCBA filling capabilities and add another engine to the fleet. The normal ladder rack was installed on the driver side to allow for an awning for the rehab side. It's designated ID is 41-12.